(2) ART OF DARKNESS. In advance of the eclipse, Steve Duin of The Oregonian finds a thematically appropriate piece of unpublished sf art — “Alex Schomburg and ‘The Day the Sun Died'”. The family discovered “The Day the Sun Died” several years ago, matted and tucked inside a 9×11 manila envelope. The artwork, in gouache, was apparently meant to illustrate a novel by Daniel F. Galouye, but the editors of Imagination Science Fiction selected a different cover. (3) HAMIT WINS. 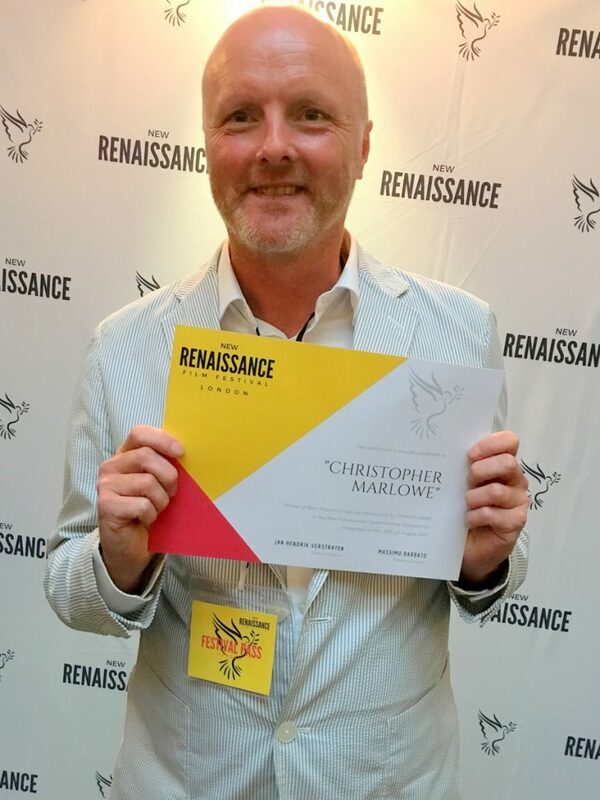 Francis Hamit’s screenplay for Christopher Marlowe won the award for Best Screenplay at the New Renaissance Film Festival in London today. Shown here is one of the film’s Executive Producers, Stuart Malcolm Honey, who accepted the award on Hamit’s behalf. (4) THIRD ROCK. At NPR, Amal El-Mohtar reviews N.K. Jemisin: “In ‘The Stone Sky,’ Some Worlds Need To Burn”. But the fact that The Stone Sky sticks the landing of this astonishing trilogy with timeliness and rigor is the smallest, simplest thing I have to say about it. The gratitude and love I feel for these books, and for what The Stone Sky adds to the triptych, is staggering…. (5) MEMORY. Decades-old memories can be a hazard. In 2015 Douglas Knipe posted a great gallery of photos from Noreascon 2 (1980) with almost 50 authors, plus shots of the Hugo ceremony. But not unlike this week’s unveiling of the digital photos from the Jay Kay Klein collection, it has a tremendous number of mistaken identifications, leading to a considerable amount of unintentional humor. For example, a photo of Craig Miller accepting the Hugo for Alien is misidentified as George R.R. Martin with his novelette Hugo, while a few pictures later the unrecognized (“?”) person receiving a Hugo from Harlan Ellison is the real George R.R. Martin. (6) HEAD OF THE GLASS. At Nerds of a Feather, Charles Payseur has come up with an entertaining motif for their short fiction reviews: “The Monthly Round – A Taster’s Guide to Speculative Short Fiction, 07/2017”. The reviews include the kind of remarks a connoisseur would make about a “tasting flight” of assorted beers. (8) ROCKET MAN. Aaron Pound gives his thoughts about the effectiveness of the rules changes in “2017 Hugo Award Longlist” at Dreaming About Other Worlds. This was the first year in which the E Pluribus Hugo voting system for nominations was implemented, and it seems to have worked as well as one could possibly hope to expect. The change in the voting rules, coupled with their waning ability to whip their adherents into a frenzy after being shellacked in the voting in 2015 and 2016, resulted in the Sad Puppies kind of slinking away after not even putting a token effort into putting together a voting slate. The Rabid Puppies continued their Quixotic quest, but changed tactics, putting forward only one or two candidates in each category in order to try to get someone on the ballot via “bullet voting”, and that seems to have had mixed results. They managed to get eleven finalists on the ballot, while five more appear on the longlist. They could have had five more finalists, but Rabid Puppy leader Theodore Beale is apparently really terrible at understanding the eligibility rules, so those five potential finalists were all disqualified as ineligible. The Rabid Puppies were able to get no more than one finalist per category. (9) LEWIS OBIT. Comedian Jerry Lewis died today; the Daily Mail collected the celebrity tributes from Twitter: “‘The world is a lot less funnier today’: Jim Carrey, William Shatner and George Takei lead stars in paying tribute to comedy icon Jerry Lewis after his passing at age 91”. William Shatner and George Takei were among the numerous celebrities to pay tribute to comedy legend Jerry Lewis, who died Sunday at the age of 91. 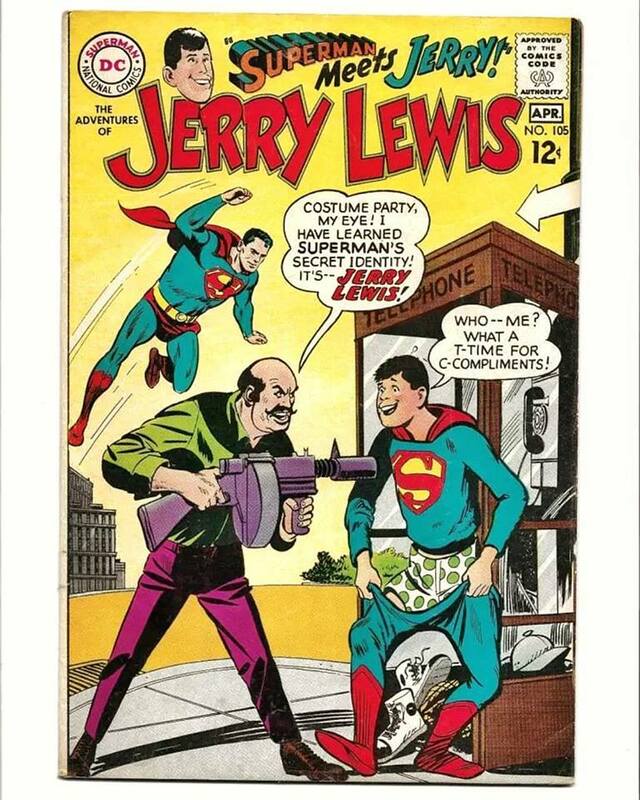 ‘Condolences to the family of Jerry Lewis. The world is a lot less funnier today,’ Shatner, 86, tweeted on Sunday morning. 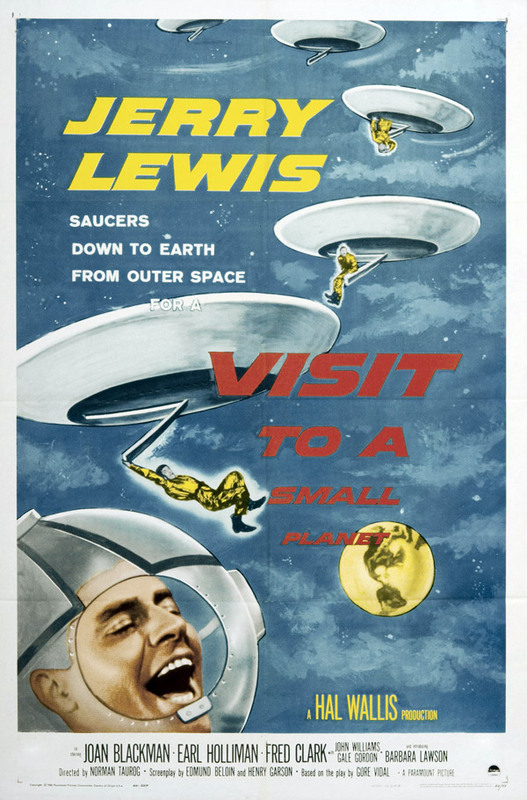 Lewis even did a genre movie – Visit To A Small Planet (1960). His legacy also includes more than $2.5 billion raised for the Muscular Dystrophy Association through the annual Labor Day telethon. I remember being at a Worldcon (Chicon 2000?) where, in one of the rooms not taken by the con, MDA was hosting a viewing and fundraiser. August 20, 1973 — Twentieth Century Fox Studio executive Alan Ladd Jr. blessed George Lucas with a small contract to first develop a shooting script and then direct Star Wars for the silver screen. August 20, 1995 — Amanda & The Alien, based on a story by Robert Silverberg, aired on TV. Born August 20, 1943 — Sylvester McCoy, the 7th Doctor. (He also played the wizard Radagast the Brown in Peter Jackson’s film adaptations of The Hobbit. (12) COMIC SECTION. John King Tarpinian got a laugh from Off the Mark. (13) SJW CREDENTIAL DOMINO EFFECT. We have had cat sitters but I have never done cat sitting. Our Worldcon cat sitter had to get a cat sitter for his cat. Cat pyramid scheme. (14) CHANGE IN RANKING FOR BEST NOVEL. The Best Novel Hugo voting stats have been updated to reflect the change in fifth and sixth places. (15) SWEEP. 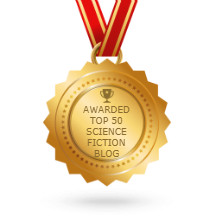 Mimi Mondal’s article in Scroll.in, “Women science fiction writers won big at the Hugo awards this year. Here are five you should read”, is illustrated with great photos by K. Tempest Bradford. The 2017 Hugo Awards were announced on August 11 at the World Science Fiction Convention (WorldCon) in Helsinki. It has already made headlines for women writers and editors winning all twelve of the individual Hugos, as well as the John W Campbell award. The women writers are a significant part of the team awards as well. This clean sweep is a first, although women have been dominating the international science fiction and fantasy awards for years now. It is also a triumph, especially for the Hugos, which have been plagued since 2015 by a malicious right-wing voting bloc called the Sad Puppies, who sabotage the nominations every year and oppose any kind of “diversity” in the genre. (16) TURN DOWN THE LIGHTS, THE PARTY’S OVER. The Worldcon 75 social media crew takes a victory lap: “The Road to Worldcon 75”. To my own astonishment, this tweet gained a lot of traction, being retweeted by over 100 people during the course of a few days. It was my first taste of Worldcon 75 Social Media awesomeness and resulted in me being assigned to work as a Social Media (SoMe) staffer. I’ve since then been working Worldcon 75-Social Media almost all of my waking hours for 2 years, save for a few breaks, work, and other cons. I did expect to work a lot, but in the end I worked a lot more than initially expected, just because it was such a wonderful experience, and unexpectedly rewarding. I love interacting with people online, and working customer service. Another benefit of working Social Media is that it gave me an overview of the all the different corners of the convention and included working closely with all the other divisions, meeting with and chatting with lovely staffers from all over the world. It’s the best position I could ever have hoped for. We had done Site Selection for the Kansas City Worldcon, and we new Dublin was unopposed, so much was easier there. I was happy that Johan Anglemark signed on as a Site Selection admin as I wanted to see someone Nordic in the division, and he did an outstanding job. Despite some mild trolling I participated in of some people opposed to electronic site selection, we never seriously considered it. I’m convinced that generally the current method works for now, and given the political opposition I think there are other ways to improve the process. Note that emailing signed scanned ballots to someone else to print out and hand carry is allowed. Electronic validation of voters against the registration database is something that worked and can be improved for future Worldcon site selection. Carrying around all of that Personally Identifiable Information on paper at Kansas City was nerve wracking, and something that could be improved without changing the overall traditions of a paper based site selection. I gather we didn’t save Dublin as much time after receiving the data as we hoped, but that may be something that future Worldcons could improve. We accepted Dublin’s Advance Supporting Membership rate without sufficient consideration; which had differing amounts in Euro and USD. This was an error, as people would want to shop for the rate that was cheaper when they mailed items in, and our credit card banking was in Euro. Currency rates are complicated, especially for mail in ballots. (18) VIRTUAL REALITY THEME PARK. The latest progress report on Utah’s Evermore Park, now under construction. In VR we have been able to virtually walk around our park and understand many of the intricate details that frankly just a few years ago was not possible. 3D renderings on a 2D screen is not the same as walking around in what looks and feels like real space. We were able to fix many aspects of the park prior to the expense of physical construction. For example, one of our buildings was much to small, yet in 2D there was no way assess scale, but standing in front of the building (just like you would in the real world) showed us that it had scale issue and we were able to make adjustments with our architects prior to breaking ground. We were also able to use VR to understand and refine our garden/landscape design and sightlines, etc., making many adjustments. In the next week we will be launching our new website that will provide many new and exciting details about Evermore, including a closer look at the park and our Festival/Shows, Themed Parties and Garden Adventures. (19) CHANNEL SURFING. British TV science fiction is quite the thing in 1962. Galactic Journey has the story — “[August 20, 1962] A Galaxy of Choices (British TV: The Andromeda Breakthrough)”. Science fiction on British television used to be one of those once-in-a-blue-moon events. When it happened, what we got could often be very good. Certainly Nigel Kneale’s Quatermass series was compelling viewing, which drew in a large audience from the general population with millions tuning in each week to find out the fate of the infected astronauts. The impact of Quatermass cannot be over stated, the name having taken root in the British public’s imagination. And, now we have a sequel to A for Andromeda, which I reported on last year, to carry the torch for science fiction on British TV, which also looks like it will enter public’s lexicon. With the additional transmission of the anthology show, Out of this World, we seem to be entering a golden age of science fiction on television. (20) DEFENDERS. Today, TV shows air in beautiful living color. Camestros Felapton gives his opinion about one of the newest: “Review: The Defenders (Netflix) – minimal spoilers”. Imagine Pixar’s Inside Out but for grown-ups – each character represents one of the four key emotions: Guilt, Petulance, Sarcasm and Luke Cage. Luke Cage is an emotion now or at least he should be – some sort of combination of every positive association with masculinity you might want, with a deeply smooth voice and an excellent soundtrack. (21) A VAGRANT THOUGHT. I gather The Philadelphia Story was on TCM today…. (22) NOW, VOYAGER. An overview of our furthest spacecraft on their 40th anniversary: “Voyagers: Inside the world’s greatest space mission”. Remarkably, both Voyager spacecraft are still working. Whenever Voyager 1 sends back a signal, it is from the furthest distance any human-made object has travelled from Earth. (23) IMAGINE THAT. Another sci-fi trope bites the dust – the BBC says most hackers aren’t sophisticated. The ways in which young people become involved in this sort of activity were recently detailed in a report by the UK’s National Crime Agency (NCA). The average age of those arrested for malicious hacking activities was just 17 – the offences included vandalising websites, stealing data and breaking in to private computers. Because our world is so much more connected than ever before, and those connections are often woefully insecure, it’s relatively easy to find ways of exploiting computer systems illegally. And ransomware in general is increasingly successful. In 2016, criminals made an average of $1,077 with every attack. For the BBC’s Cyber-hacks series, Click’s Spencer Kelly discovered how cyber-criminals can acquire off-the-shelf ransomware using only a search engine. As Woodward points out, the easiest thing to do is “just cast it out there” – whether it’s ransomware, spyware or spam – and see what comes back. Many people are often surprised by the amount of spam they receive, especially because so many of the scams are so obviously illegitimate. But the reason you still get emails from a Nigerian prince offering cash out of the blue is because people continue to fall for such stories. Not huge numbers, but a few. And that’s all it takes to make a profit. By JJ: We’ve spent a lot of time over the last several months reading and discussing the Hugo Best Novel finalists. This thread has been created to give us the opportunity to discuss the rest of the entries on the longlist. Please employ your best judgment, and use rot13 to encrypt anything especially spoilery, in consideration of those who may not have gotten to read all of the entries yet. Free Electronic Hugo Nominees Are Expensive! I’ve been laughing quietly at myself about this since before Westercon. The joke is on me, and I’m ready to confess. Even if it’s supposed to be good marketing, fans are tempted to feel like they’ve put one over on the universe when somebody gives them free electronic copies of four Hugo-nominated novels. I do, anyway. I thought: How great is this, I’m saving fifty or sixty bucks, and the most convenient place to have the text is on my computer. I felt so confident about getting everything read before the voting deadline that I told Kathryn Daugherty she could put me on a panel at Westercon to discuss all the Hugo nominees. Then as weeks slipped by, I found that I needed all my time in front of the computer to do my work, or complete the new File 770. And I didn’t really want to spend any more hours in front of the machine reading these novels. On the other hand, there were times I needed to wait for a doctor’s appointment, or watch my daughter play at the park, when it would be very easy to pass the time reading a book. So with the Hugo deadline bearing down, and not wanting to embarrass myself in front of Kathryn Daugherty and Chris Garcia on our panel at Westercon, I bought copies of all five nominated novels and read them. And had a great time discussing them at Westercon. Jerry Pournelle wrote last year that “Eric Flint of Baen Books has looked at this closely, and [and he finds no] harm comes from electronic publication of a book available in print… if there is an effect it is probably positive: that is, someone begins to read a work of fiction (authorized or pirated, it makes no difference) and may well be influenced to go buy a copy. We know that happens because people tell us so.” Now I’m one of the statistics, and I still can’t really explain it. How could this have happened to me, an experienced, canny fan? After I worked the universe for four free novels? I’m melting, melting…..
Update 7/18/2008: By coincidence, Pournelle has just posted an expanded discussion of Flint’s anslsysis at Chaos Manor Reviews – about halfway down the Mailbag. Strange day, when the John W Campbell Memorial Award is the award I feel positive about. The winner is: In War Times by Kathleen Ann Goonan. I was quite interested to hear that the Goonan novel won. At Westercon, Kathryn Daugherty, Chris Garcia and I were on a panel discussing the entire Hugo ballot. When we had all said our piece about the Best Novel category, Kathryn pulled out a copy of In War Times and touted it as the book that should be winning the Hugo. Michael Chabon’s The Yiddish Policemen’s Union was announced as the winner of the Locus Award for Best Science Fiction Novel over the weekend. A week ago there was a small debate here about whether winning the Nebula had conferred “front-runner” status on Chabon’s novel. Now with a Locus Award to its credit, The Yiddish Policemen’s Union surely is the favorite of bookmakers as well as book readers. Or is it? How valuable are SFWA’s Nebula Award and the Locus Awards for predicting the Hugo-winning Best Novel? 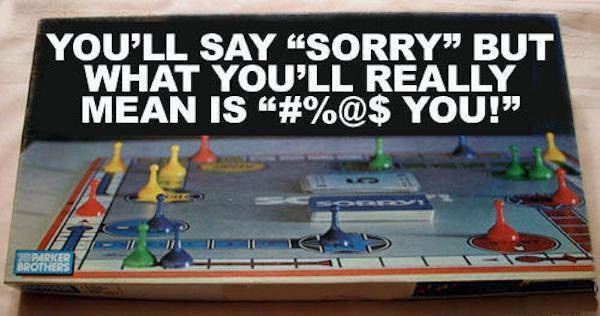 They aren’t worth a darn, as it turns out. The Hugo Awards were first given in 1953, SFWA’s Nebula Award in 1966, the Locus Award for Best Science Fiction Novel in 1971, and for Best Fantasy Novel in 1978. Originally, there was a strong pattern of duplication. For seven of the first nine years of the awards’ co-existence they practically marched in lockstep, with the same novel winning all three. Then, from 1980-1987, the Hugo-winning novel also won either the Nebula or the Locus Award almost every year – and Brin’s Startide Rising, 1984, and Card’s Speaker for the Dead, 1987, won all three. Only C.J. Cherryh’s Downbelow Station, the 1982 Hugo winner, failed to collect either of the other awards during this eight-year span. Over the next 12 years, 1988-1999, the Nebula fell out of step, matching the Hugo winner only twice. But Locus Awards were voted to 10 of the 13 Hugo-winning novels (13 because there was a tie in 1993). During this period, only Connie Willis’ Doomsday Book (part of the 1993 Hugo tie) won all three awards. For the last 8 years (2000-2007) there has been no consistency at all. Five the past eight Hugo-winning novels won neither the Nebula nor Locus awards. However, two Hugo winners, Neil Gaiman’s American Gods (2002) and Lois McMaster Bujold’s Paladin of Souls (2004), scored all three awards. Interestingly, in both cases, it was the Locus Award for Best Fantasy Novel that completed the hat trick. The only other Hugo winner to receive another of the awards during this period was Vinge’s Rainbows End, which was voted a 2007 Locus Award for Best Science Fiction Novel. Has there has ceased to be a significant overlap between Hugo voters and the pros who vote for the Nebula, or the general public who vote in the Locus Poll? Despite there being numbers of SFWA members with Worldcon memberships, people who can actually vote for the Hugos, it’s obvious that Best Novel Hugo parted company with the Nebula long ago — they’ve only had a common winner four times in the past 20 years. Now and then lightning will strike — even again and again and again, as in the old song — and a book will sweep. But the recent trend has been for there to be no lightning at all, for the Hugo winner to march to its own drummer. The divergence between the Hugos and the Locus Awards is fairly recent and invites the question — Why did things change? Speculation, anyone? See the annotated list of Hugo-winning novels behind the cut. Best-selling sf or fantasy novels rarely get any play from Hugo voters, but a lot of fans enjoyed the stories and even more were grateful to Rowling for inspiring many children’s love of reading. Harry Potter and the Prisoner of Azkaban was a Best Novel Hugo nominee in 2000. Harry Potter and the Goblet of Fire actually won the award in 2001. The ensuing controversy over a fantasy novel winning the Hugo (completely within the rules) does not seem enough to explain why another Harry Potter novel never made the final ballot. After all, every Harry Potter movie has been a Best Dramatic Presentation Hugo finalist: Harry Potter and the Sorcerer’s Stone nominated in 2002, Harry Potter and the Chamber of Secrets in 2003, Harry Potter and the Prisoner of Azkaban in 2005, Harry Potter and the Goblet of Fire in 2006, and Harry Potter and the Order of the Phoenix in 2008.